So you have a sales lead, an appointment and are on your way to visit a property and meet with someone who has requested your lawn care services. During the process of meeting with a prospective customer and inspecting their lawn, your actions will go a long way towards influencing the price that you will be able to get away with charging. 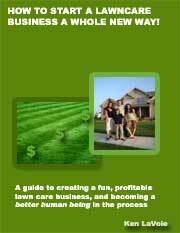 Below I have set out a lawn care estimate guide that tells you how to do the right thing when it comes to visiting a prospective client, inspecting their property and discussing pricing. Never offer a bid over the phone. If you show up in person it gives you an opportunity to check out the property thoroughly so that you can avoid any nasty surprises. 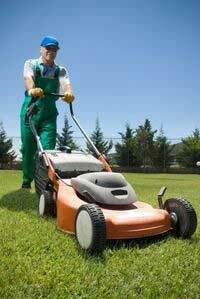 You may have to charge more for the first time that you mow a client's lawn if they have let their grass get out of control. Once you have things under control you can then revert to your regular price. By meeting people in person you will have more time to sell to them and you will be able to introduce them to any other services that you offer. You will also be able to get a feel for what kind of person they are and whether they would be after a 'budget' or 'premium' lawn care solution. Make a great first impression on a prospect by turning up at their home on time and by ensuring that you are well presented. Be polite and respectful as you meet them and while you inspect their property. Show the prospect that you are well prepared to estimate a price for mowing their lawn by carrying the tools of the trade with you. Some people will think that you are simply going to pull a price out of your head if you turn up empty-handed. Carry a pen and a clipboard to take notes and consider taking along a pocket calculator if you don't have a smart phone, tablet PC or other mobile device that can perform calculations and record data. Show clients that some thought and calculation has gone into your lawn care pricing. Take along some estimate forms that you have printed or photocopied beforehand. These forms should be professional looking in their design and feature your logo and other important business details on them. Don't forget to include an area for sales taxes if they apply in your state or country. It is better if you can hand the estimate to the prospect on the spot rather than call or email with a price later. You are in the best position to close the deal if you are standing right there with the prospect. You will be able to counter any queries that they have about the price on the spot. You can learn a lot about your pricing by learning how to read your customers reactions after you give them your quote. If your customers glance at the estimate and quickly and happily agree to hire you for their lawns then they may have been prepared to pay more. If they think long and hard about your offer, ask you to justify your price or reduce it, then your prices could be too high. Give some thought to the percentage of bids that you win. If you are successful in securing a new account 60% of the time then you are probably 'bang on' with your prices. If you are not winning many accounts then you may have to rethink your pricing. If you are winning nearly all of the accounts that you bid on then you do have to wonder if your pricing is too low. You will get some customers that will look at your estimate and then try to knock it down a little, or a lot. This is another reason why you are better off pricing slightly on the high side rather than on the low side. 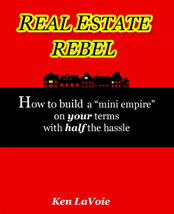 Give yourself some room to drop the price a little in case the prospect tries to bargain with you. If they think that the price is too high and are just about to walk away from the deal then you also have the option of dropping the price.